Alex J. Cavanaugh: A to Z Challenge – B – Cult Classics Better Off Dead, Boston, Brave New World, and More! Plus Amazing Write Club News. A to Z Challenge – B – Cult Classics Better Off Dead, Boston, Brave New World, and More! Plus Amazing Write Club News. A funny take on 80’s teen romances with hundreds of quotable lines – I want my two dollars! This 1985 film became an instant classic on video. Carpenter at his most fun with almost every genre thrown in the blender. This 1986 film was not a hit upon its release, but has since gained ground and earned solid reviews. A debut album that still sounds fresh today, it sold twenty-five million copies and gave the world the iconic More Than a Feeling. One of the top novels of the 20th century, Huxley put a dark, dystopian spin on the future. It was also banned many times over the years. Do you have a tough skin? Not easily offended? Want the truth? Brandon and Bryan will give it to you! They tackle the degenerates we loath while poking fun at everyone. Brimming with snark, Brandon and Bryan are the authors of many books. Want to journey with an author as she delves deep into a character? Want to become Layla? Helena’s cover many aspects of her adventures. Enjoy the ride! Want to see the fun side of writing? Want visuals and lists and a positive attitude? Beth’s sweet nature will charm the socks off you! The Balkan is a small war ship that was popular for years before being discontinued. 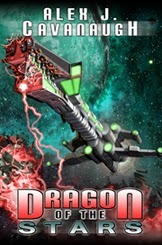 Aden is placed at the helm of a refitted ship and charged with finding the Dragon. The craft gets its name from the Balkan whip snake. To prepare for the launch of Dragon of the Stars next week, my publisher has dropped the price of CassaStorm to .99 cents at Amazon. (If you prefer ePub, it’s also on sale at Dancing Lemur Press.) CassaStorm is my highest rated book, winner of the Pinnacle Achievement Book Award, and was an eFestival of Books 2014 Winner. 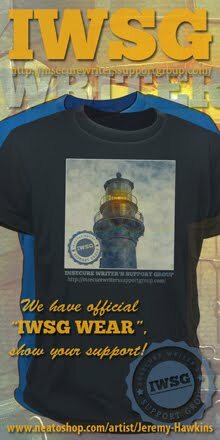 Sale good until April 4! 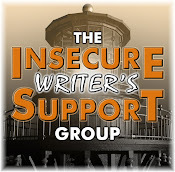 Now, the WRiTE CLUB Champion will be announced during the DFW Conference, receive a three-chapter critique of their work by several of the judges – and – FREE ADMISSION TO THE DFW CONFERENCE IN DALLAS FOR 2016. That is a $400 value and an experience that cannot be missed! Wait, that’s not all – both finalist will also receive a $75 Amazon gift card! Sandra Ulbrich Almazan also has a Thunderclap for her upcoming book, Scattered Seasons. Fan of either movie? Read Brave New World? Following those awesome bloggers? Figured out the Kargrandes yet? Excited for Write Club? And what would be your pick for Cult Classic B…? No way! Am I first to comment? Get in! I've just bought CassaStorm, can't wait to get reading it. I want my two dollars. I remember that and still say it today. Brave New World is my favorite book, and you highlighted some of my favorite bloggers. This Challenge is getting better with each letter. I love Brandon and Bryan at A Beer for the Shower, they always make me laugh. Brave New World was brilliant. Love that you are focusing on bloggers as well as books, music and movies. Some bloggers too deserve to become classics. Wow, I haven't seen, heard or read any of your choices here, but now that you've highlighted them, I'll be sure to check them all out. Brave New World is beyond superb!! I had to read Brave New World at school. I don't remember much - although I do remember having to write 3 or 4 different essays on it - so I think I'll have to revisit it. I have heard so many great things about the Beer for a Shower blog, I have to check them out. Have to! Looks like Brave New World will be going on my TBR. Your list seems more like me, than you. :) I love the movies and the music. I have to check out the bloggers. Love your choice of "B" books and music., hope you're keeping well under the strain. Would Barbarella qualify as a cult classic? Sadly, I have not read Brave New World - and I guess I really should. Maybe at the beach this summer! I'm a huge Aldous Huxley fan. Brave New World is great, but I also really enjoyed The Doors of Perception. Heather, you're first! And thanks. Elephant, I always feature blogger buddies because friends are the most important. Eva, those guys are hilarious. Go enjoy! Brave New World had a profound effect on me years back. Great B collections Alex! Thanks for mentioning my Thunderclap, Alex! I read Brave New World when I was a teenager. I still remember the bit where they indoctrinate the Betas, which is very appropriate for today. Brave New World was mandatory reading for me in high school. It lead to me reading many of Huxley's other books. Haven't seen either of those movies, but now I guess I just might have to! Good choices for letter "B"
I like Kurt Russell. He's a great actor. Big Trouble in Little China is a fun, fun movie! I liked it more than I first thought I would. Boston's More Than a Feeling is one of my favorite tunes! I definitely will check out today's featured bloggers, so thanks for the heads up. 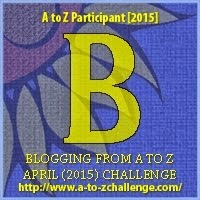 Have a blast with the A2Z challenge! Brave New World is one of my all time favorite books--truly frightening in a quiet, unsettling way. Back to the Future, of course. I loved the book Brave New World. Thanks for bringing us amazing blog posts! I have to say Big Trouble in Little China is a favorite of mine. It's just funny. I'm enjoying meeting new bloggers. And who doesn't love Boston. I love Kurt Russell and I liked Big Trouble in Little China. And who didn't love Journey!!! Brave New World - Aldous Huxley was by a book that marked my youth. also brings back wonderful memories Boston with "More Than A Feeling"! I love Better Off Dead. I can probably quote that entire movie. Lisa, I think it would. Sandra, you're welcome! Hope you hit your target. Cathy, if it's on, I'll end up watching the whole film, and I've already seen it dozens of times. Mason, exactly! I certainly don't know how anyone could dislike Boston, that's for sure. I'm not sure I'd know how to define "cult" classic, but it's fun reading your choices. At least I've heard of the group Boston. My husband LOVES Better Off Dead. I don't remember being that impressed by it when I was a kid. It's one of those movies people talk about constantly and I always say, "Really?" I just thought it was something we rented one weekend because we were bored and that was that! Yup I read Brave New World. Excellent book but what a horrid place to live. I love Bryan and Brandon. Always enjoy their snarky comments and their rather weird pictures. They cook too. Need to read Brave New World. Grand Post... Big Trouble in Little China, one of my favorites. Better Off Dead another great one, it's funny both soundtracks are hard to come by. The beer guys sure aren't for the easily offended lol best way to be. I had that Boston album as a cassette, and I still have it as a CD. When I read Brave New World as a kid for school, I got nightmares. lol I sure wouldn't want to live in a world like Aldous described. I'm a fan of both movies, but I have especially fond childhood memories of eating popcorn and watching Big Trouble in Little China with my dad. Brave New World is possibly (it's hard to be definitive here) my favorite sci fi book of all time. Possibly. Regardless, it's phenomenal. Great choices today! Huxley was one of my all time favorite sci-fi writers. Loved Brave New World. Big Trouble in Little China. Wow. It's been years since I've seen that one. It use to be on my top rewatch list! Stephanie, you have to go back and watch it again! Jo, I didn't know that. Jeremy, and Carpenter always made great soundtracks for his films. Madeline, that's a good thing though. Christine, I could rewatch it anytime. Better off Dead is one of my favorite movies and Brave new world is a cool book, too. I like how you are including bloggers again this year. Always so supportive! Ahhhhhhhhhh........More Than a Feeling. The soundtrack to my post Navy boot camp life. Memories. Blast from the past. I love Better Off Dead. Especially the drag racing Asians with the PA system and the cheesy announcer voice. Good times. And thank you, kind sir! Not just for the shout out but for the kind words. *wipes away tear* "Brimming with snark" may be the nicest compliment we've ever been paid. I love John Cusack - he seems to pick great films. My fav is Grosse Pointe Blank. Big Trouble in Little China is so funny - I really must get it on DVD one day - I nearly always watch it when it pops up on TV. Better Off Dead might actually be the movie I saw more than any other when I was in high school. I don't remember Better Off Dead but as I recall I did like Big Trouble...--hadn't seen it in years. Read Brave New World in high school and that was a bit eye-opening for me in the 1960's. What else can one say about the great Boston album that others haven't already said. A classic! Better Off Dead is one of my favorite 80s movies. We watched it on repeat in college. Just love it. Brave New World... read it in high school, but really should read it again. Love B&B, but am unfamiliar with your other B bloggers. Oh, and Boston... it's more than a feeling. Shell, thanks. I'll always include other bloggers. Brandon and Bryan, you're welcome and knew you would like that. Natasha, Grosse Pointe Blank is a funny film. Just a few more days for DRAGON.. You must be really excited!!!!! I've had a crush on John Cusack since the 80s and Better off Dead is one of his funniest. I hadn't thought of Boston in a long time but you're right, they really had some great songs. I love Big Trouble in Little China. I think it made me a Kurt Russell fan. And who doesn't love Boston? Those guys at A Beer for the Shower are funny. Monique Junot: I thought if Casanova and I in there had nothing to say to each other, he'd get bored -- go away. Instead he uses it as a chance to put his testicles all over me! Monique Junot: Uh, how you say... octopus... testicles. Lane Myer: No, tentacles. N-T. There's a big difference. And I just Tweeted. Will do more. "I want my two dollars," is probably the most quoted line in our house. ;) And Big Trouble is a total Ilima childhood classic. Fun to reminisce. Better off Dead! There is no substitute! Great choice! Brave New World is one of my favorite books, and I do love some of the music from Boston. I'm enjoying these reminders on your A to Z posts, Alex. I have a copy of Brave New World in my bookcase. It might be time to read it again. I sure remember that Boston album. So huge! Michael, that's cool. And I am excited! Susan, I first remember him in The Computer Wore Tennis Shoes. Stephen, thanks, and awesome exchange! Ilima, we say that all the time as well. BNW is one of my all-time favoritest books. I've read it thrice, the first two times for class and the most recent time for pleasure. I never understood why some of the people in the two classes I had to read it for whined about it and didn't like it. Perhaps I just like it so much because I already love reading, and was used to older, more literary books. I still need to read Brave New World. I have got to read "Brave New World!" I can't believe I haven't! " CassaStorm" was my favorite of your books so far. I'm looking forward to "Dragon of the Stars!" Big Trouble in Little China - one of my favorites!!! Boston – Boston - love that album. Brave New World – by Aldous Huxley - I've read the book and have seen two different movie versions. Bryan and Brandon at A Beer for the Shower - major love for these two! Your Thunderclap campaign - I have side margin boxes on two blogs - Go ALEX!!! I'm a fan of both those movies! I really need to read Brave New World. And I'm definitely checking out a few bloggers that are new to me. Thanks for all the info, Alex! And, I tweeted . . . Thank you SO MUCH for mention my blog, Alex! You really are a darling. I read Brave New World as a teenager and it depressed the heck out of me. What's scary is that Huxley was pretty prophetic about a few things that would come to pass. Now that's a cult classic! Don't think I've seen any of those B movies, at least not in their entirety. (Snippets of Better Off Dead). I love the guys over at Beer for a Shower. Haven't visited them in a while, but they make me laugh. Guess I need to hop over and see them. Great post! Carrie-Anne, it's one of those love it or hate it books I guess. Roland, Carpenter set it up for one but it never happened. Liesel, go enjoy a laugh. Mason, I had no trouble finding topics for my theme. Better off Dead and Big Trouble in Little China! I LOVE those movies. Seen them dozens of times each. That Boston album is a classic. Ahhh, Big Trouble in Little China...such memories. Read Brave New World, and watching to see what happens next in our wrecked world. I really like this format of favorites you've got going here. Easy breezy. And including a book detail--nice. All your picks today are new to me. Did you see that they just did a 30th anniversary table read of the script of Better off Dead with the full cast (although I didn't see John Cusack)? I'll find the link if you're interested. Brave New World was one I loved. Was assigned to read it in 12th grade. Was probably the only one in class who liked it. I feel like I've been lost in space because I haven't seen any of the movies or read the books. Bryan and Brandon are the best, and their comments are almost as entertaining as their blog posts! I'll have to see Better Off Dead. Sounds like a fun movie. I'm a huge fan of BOTH of those movies, but ashamed to admit that I've never read Brave New World (which seems very wrong to me). All the bloggers introduced today are new to me- I will check them out now! Susan, it will only get worse before it gets better. That would be awesome, Liz! I missed that. Thanks, RaShelle! No worries - still five more days until its release. Birgit, the original is far better than the remake they did back in the 80's. I learn a lot at ABFTS about beer, how to live with your neighbors. . .and a lot of subjects I never even considered before. As for Brave New World, banning a book always makes it more desirable to the masses. . .
Nice list! Definitely checking out A Beer for the Shower! I've always liked Boston. My dad has that album. I've tweeted. Oooh, you've got me intrigued about Brave New World, I haven't read that one. Yes I'm following, I'm following brave new blog buddies across the blogiverse. Better off dead is one of my favorite movies and I always wanted to send away for the space shuttle. I don't know if there's video someplace. There must be! I think my brother and I watched Better Off Dead close to 100 times. I've heard of everything except Better Off Dead. Balkan whip snake, huh? Cool name for a ship class. Spacerguy, that made me smile. I have to read A Brave New World! The daddy of dystopian. Big Trouble in Little China totally cracks me up every time I watch it. And yup, I own it. Had to. So much research! How do you keep up? I want my two dollars. Sometimes , even now , that line gets stuck in my head. I remember it well. I'm also a huge Boston fan. We must have grown up in the same era. Alex, when I clicked on the link to check out Becoming Layla's blog, I was directed to a scary warning that told me I was forbidden and my attempt to access had been recorded . Hope I am not hacking into NSA OR CIA database . I tried twice and got the same warning . Do you know what's up? Just thought I would let you know . Loved Beer in the Shower, BTW. Thanks for sending me that way. I've read "Brave New World." It was a long time ago but I think much of it was accurate. I LOVED Better Off Dead! I don't even remember the plot now, but I do remember watching it over and over with my best friend, Kelly. Big Trouble was a fun movie at the time, but I can't watch it now. Love both movies and the beer boys! Gotta love Kurt Russell in anything. How about Overboard. OMG! Boston, my husband starting dating over the album. Love it. What fond memories! Big Trouble in Little China! We loved that totally nonsense movie. I haven't watched either of those movies. I love that Boston album. I read Brave New World when I was in High School for banned book month. It's a sad story. I have never seen any of those movies. Interesting! I loved/still love Big Troube in Little China. Yeah, it had it's moments but it's otherwise an enjoyable classic. GAH! I need to read A Brave New World. It's on my to-read. I know it's there but I never seem to get around to it. Hi, Alex! Yep, I read Brave New World when I was a senior in high school. Interesting read, that one. I loooove that song by Boston - great band. And Big Trouble in Little China totally takes me back to childhood! I haven't seen some of these '80s movies. I have quite a few I need to catch up on. Great spotlight on some bloggers. Boston is played on many classic rock stations in the area. They have timeless music. I am enjoying the new words from your book. Can a ninja be trusted? They have special powers you know. I love Boston's music, I've read Brave New World, and Better Off Dead is on my to-be-watched list. I've met Beth Ellyn, but not the other two. I'll check them out. Beth Ellyn is a sweetie-pie! I have no idea what The Kargrandes is... maybe a sci-fi version of The Kardashians? Hey guys! Sorry, just catching up with B comments. Beth, I'm glad it did and sorry you were in the ER. Melissa, do you use McAfee? They are on a vengeance right now. Michael, they appreciated the snark label. Truedessa, you can trust this Ninja. I haven't seen those movies and I've been wanting to read Brave New World. Can't wait for Write Club! Hey Alex! I think I know one of those bloggers. Thanks for the shout out today. Looking forward to the new X-files episodes. I'll play coy and say I know what the Kargrandes are but won't tell anyone until after I get my dragon ride! Need to go meet Beth! That is amazing news from DL! Thoroughly enjoy both these movies and the album. I had an appreciation for Brave New World, but didn't like it as much as I thought I would.